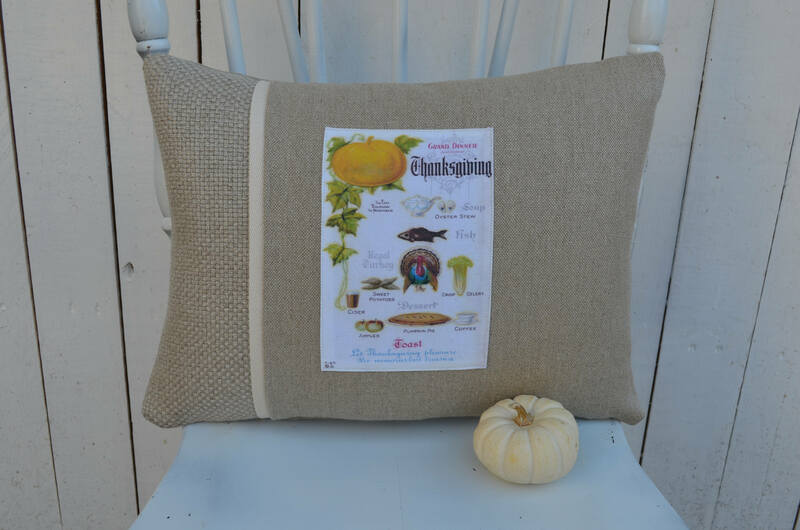 Thanksgiving Menu Pillow. 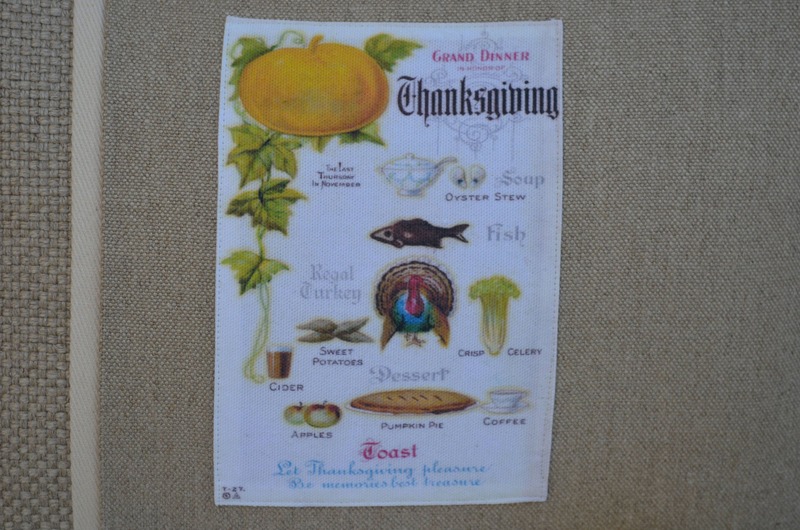 This is one of my favorite vintage Thanksgiving postcard images! 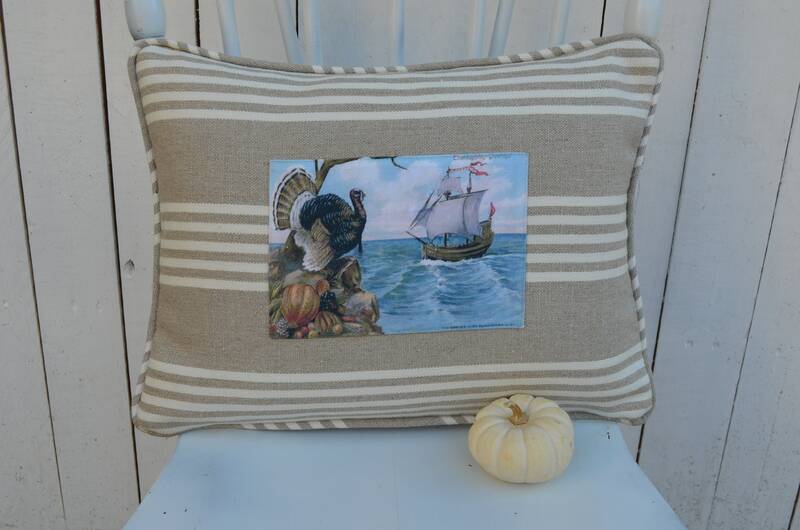 Thanksgiving day to me means being grateful for life and sharing a wonderful meal with family and friends and this pillow symbolizes that for me. The 100% Belgian linen pillow is available in 3 styles, the small 2 tone as shown, small stripe, or small pleated option and measures 12 inches high by 16 inches long. 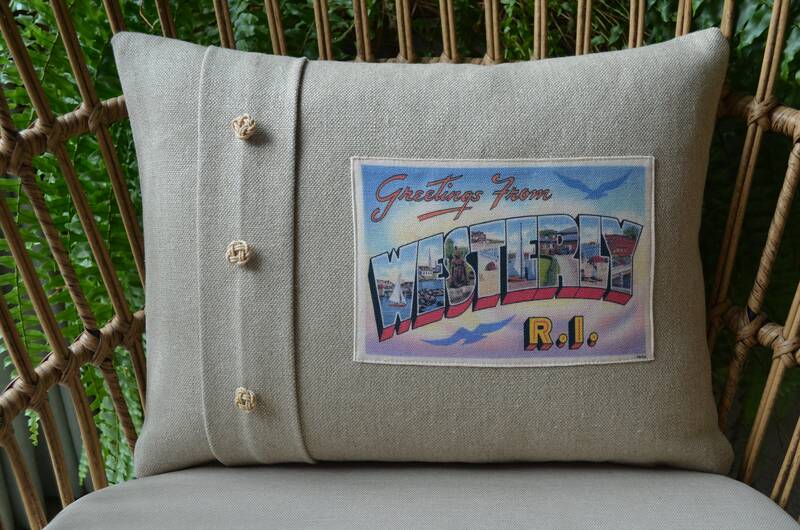 All pillows are closed with a zipper at the bottom and include a 95/5 feather and down option.